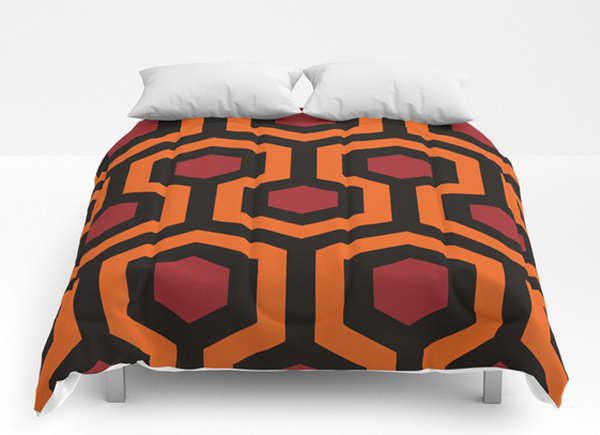 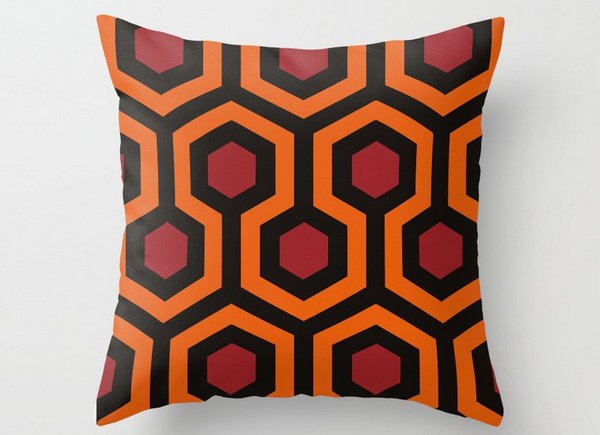 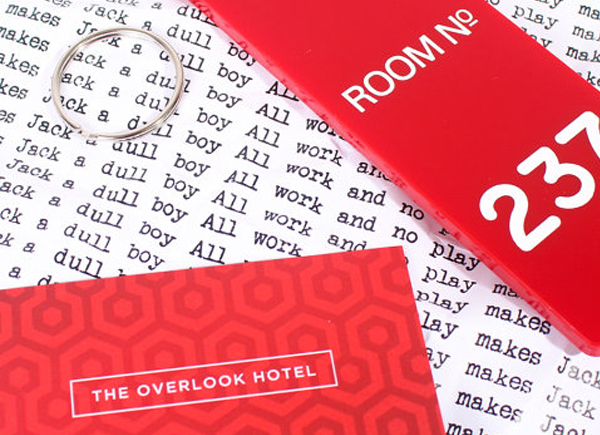 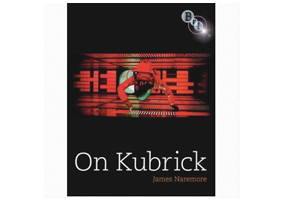 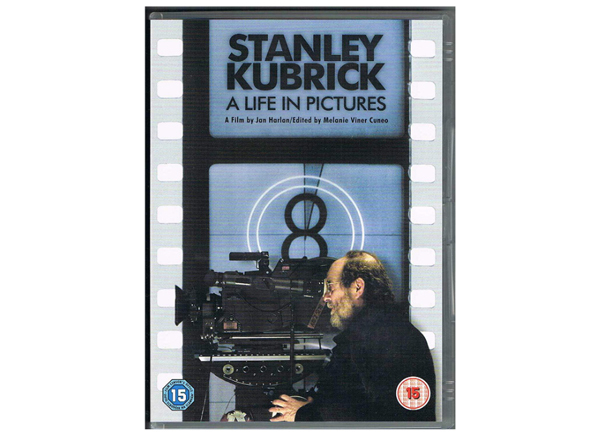 Film and Furniture fans will know the original inspiration for this very website was the hexagonal patterned carpet in The Shining‘s Overlook Hotel. 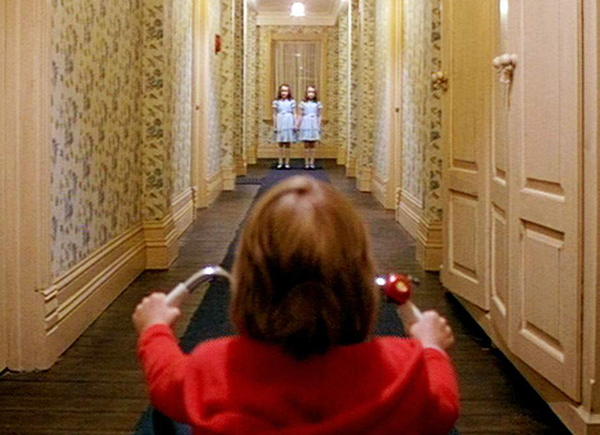 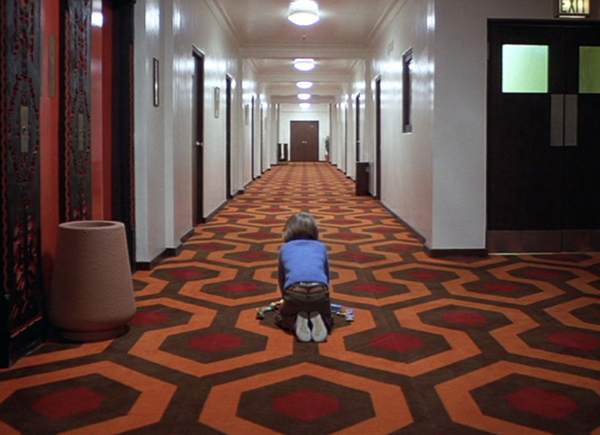 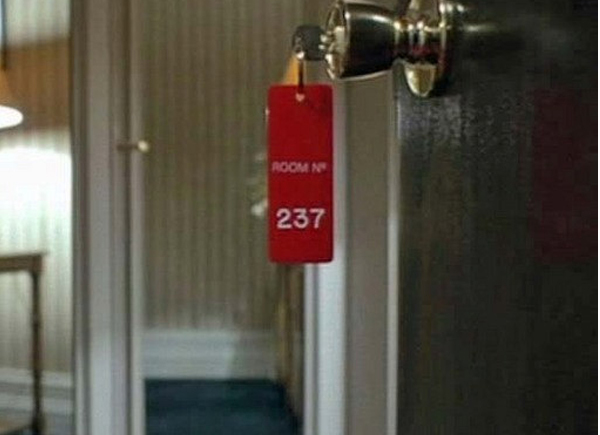 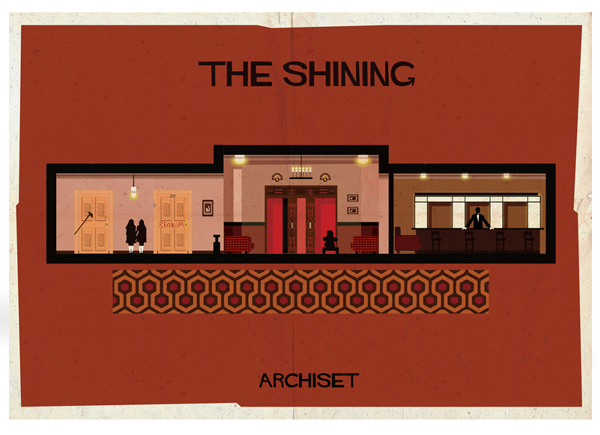 The carpet in The Hotel’s corridor features prominently in several key scenes, including young Danny’s first unnerving encounter with room 237 as he investigates on his tricycle. 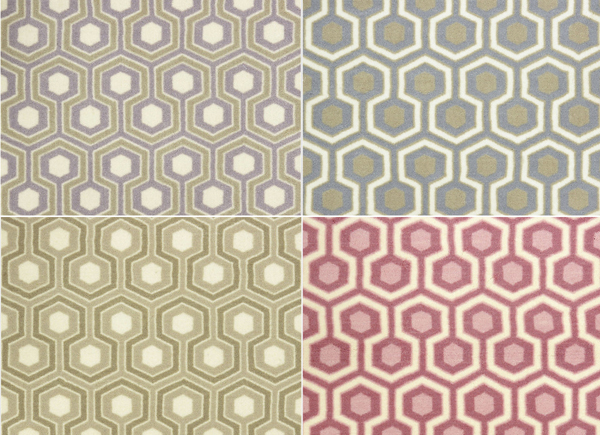 The carpet originally designed by David Hicks is now available through his son Ashley Hicks collection based on the original design. The particular range shown here, called Hexagram, is the 100% Nylon version (see also the 100% wool version Hexagon House) is available in 4 colourways: Cassis, Cornflower, Fawn and Rossette. 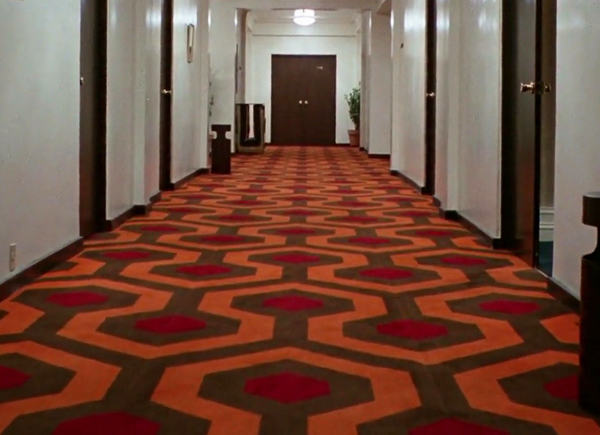 We can source this carpet for you through Starck who hold the official license to make this carpet.